The Stealth Wireless Pro is an innovative system that eliminates the need for speaker cabling and offers even greater performance capabilities with additional professional features. The Alto Professional Stealth Wireless Pro system adds wireless audio connectivity to any active loudspeaker, obviating the necessity for long, complex cable runs, simplifying setup and teardown, saving time - all without any compromise in audio quality. The system works perfectly well through walls, floors and ceilings, providing setup flexibility that far exceeds conventional hard-wired systems. Stealth Wireless Pro contains a single dual-channel transmitter with a 2-antenna system (either dual mono or stereo switchable) for true diversity operation. A front panel LCD screen with dual frequency display conveniently shows the RF frequency and channel as well as the AF signal level for each channel. Considering purchasing the Alto Stealth Wireless Pro ? Have questions? Ask people who've recently bought one. Do you own the Alto Stealth Wireless Pro ? Why not write a review based on your experience with it. 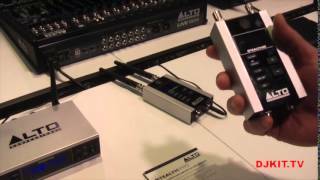 Seen a video for Alto Stealth Wireless Pro online or have you own video? You will earn 1,956 loyalty points with this product worth £4.89, when logged in. 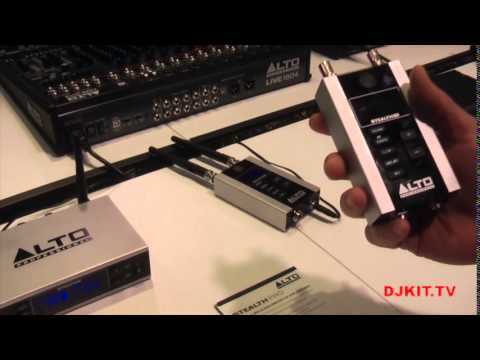 Check out Alto Stealth Wireless Pro on DJkit.com!